She may star in Killing Eve, but Sandra Oh is also killing it in the hair department. The actress has been slaying each and every red carpet with her hair game. Her natural curls are glorious and effortless, but she has a little bit of help when it comes to her tresses, too. Oh may be making waves on the small screen, but the 47-year-old uses this tiny tool to create her hair waves. See it: Grab the Hot Tools Professional Marcel Curling Iron for $36, available at Walmart! Also available at Amazon with prices starting as low as $38! Please note, prices are accurate at the date of publication, April 12th, 2019, but are subject to change. 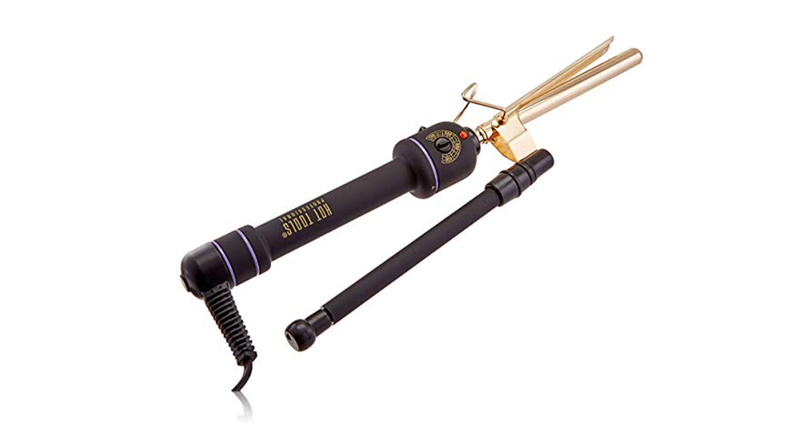 The Hot Tools Professional Marcel Curling Iron is the hottest tool on the market. This easy-to-use hot tool is the one-stop shop for achieving all of those voluminous curls a la Sandra Oh. There is nothing more difficult than curling our hair. Let alone selecting what type of curling iron to use to make ringlets. Some curling irons are too large, while other ones are too small — and don’t even get Us started on the curling irons that are the right size but offer up the wrong curl. This easy-to-use curling iron looks to iron out all of those kinks other curling irons had. How? It was designed to evenly distribute heat when applied to our hair, which in turn provides longer lasting curls. It uses a specially designed patented pulse auto heat control that not only senses heat loss but regenerates heat to help keep the barrel temperature consistent. Not only is this product high quality, but it also provides the highest heat quality. Personally, we love how amazing this tool claims to be, no matter what our hair type is. Whether we have pin straight locks or an already-curly mane, this is the curling iron that will work wonders! 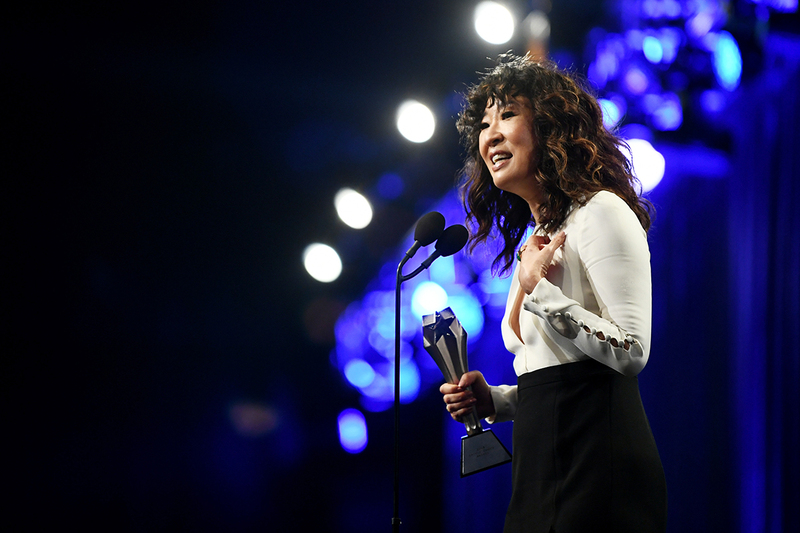 Take it from Sandra Oh, who has naturally curly hair and how she uses this tool. In a recent ELLE interview, Oh’s hairstylist Ted Gibson credits this iron as her secret weapon. While Oh has been more than blessed with her ringlets, she adds some more definition with this hair tool. “You’re only as good as the tools that you use,” Gibson told ELLE. “If you want great hair you have to have great tools.” And it’s clear: This is the only tool for the job, of course. To achieve a similar look to the award-winning starlet’s, Gibson recommends rotating between two specific tools, one curling iron with a width of an inch and another curling iron with an inch and a half iron. It’s best to alternate between the two when creating curls all around our heads to create a messy look that also has dimension and looks natural. Looking to make waves of our own? Opt for this Sandra Oh-Approved curling iron, of course. Just remember to credit Us (and well, her) in any acceptance speeches, obviously. Not your style? Check out even more Hot Tools products and additional hair tools also available at Walmart!